If you are building high performance applications that consumes WebAPI, you often need to enable GZip / Deflate compression on Web API. Compression is an easy way to reduce the size of packages and in the same time increase the speed of communication between client and server. Two common algorithms used to perform this on the Web are GZip and Deflate. These two algorithms are recognized by all web browsers and all GZip and Deflate HTTP responses are automatically decompressed. 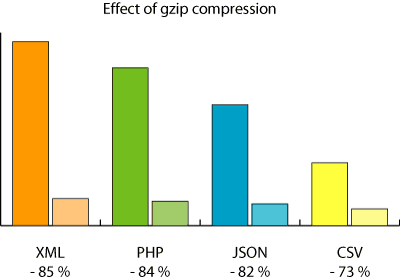 On this picture you can see the benefits of GZip compression. There are several ways to do this. One is to do it on IIS level. This way all responses from ASP.NET Web API will be compressed. Another way is to implement custom delegating handler to do this. I have found several examples of how to do this on the internet but it often requires to write a lot of code. The third way is to implement your own actionFilter which can be used on method level, controller level or for entire WebAPI. For this example with around 8 lines of code I will use very popular library for Compression / Decompression called DotNetZip library .This library can easily be downloaded from NuGet. Now we implement Deflate compression ActionFilter. We also need a helper class to perform compression. For GZipCompressionAttribute implementation is exactly the same. You only need to call GZipStream instead of DeflateStream in helper method implementation. If you find some better way to perform this please let me know. Hey, This was very helpful. One thing I added to your code was that you should be adding all the headers from content to new content since you are resetting the content. Hi Hiren. Thanks for comment and code improvement. It is logical to maintain all headers from previous content. Nice article but I don’t see how adding another dependency to your project is better than a few extra lines of code. To compress my Web API responses I’m using this approach: http://blogs.msdn.com/b/kiranchalla/archive/2012/09/04/handling-compression-accept-encoding-sample.aspx this works quite well and doesn’t add a dependency. Hi JD. Thanks for comment. Actually approach you are using is quite good. Approach described in this article you need to add reference to other project DotNetZip. Approach in your article is also very good. If it works for you well, you should continue use it. Saving the day again! 🙂 A 3 minute implementation with minimal LOC! Hvala! Is the output response expected to be zlibbedContent? Thanks for comment. Expected output is deflate (zlibbed) content. Hi, Radenko. Why you remove Content-Type and then add application/json? What’s reason? If i use both types (xml and json) how can i processed it? Thanks. Hi Roman. Thanks for comment. There was some need to remove and re-add application/json I think. You probably can just remove those 2 lines of code. This is really helpful and the best solution I ever found . 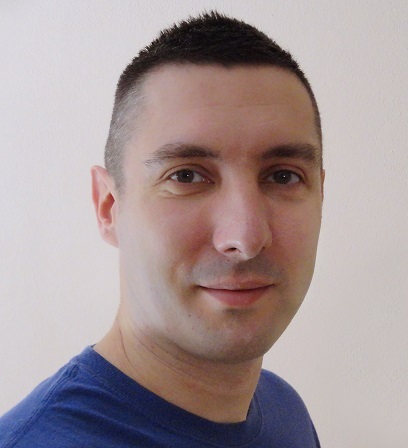 Thanks, I made an open source module based on this: https://github.com/Thorium/Owin.Compression But there is deflate also in .NET so you don’t need 3rd party library for that anymore. Thanks for comment. Actually we had deflate in .NET when I wrote this article. There are some other benefits using 3rd party library for this. Read one of the first comments bellow for more info. we can use IIS compression techniques. Do we need this even after IIS compression? No. Actually using IIS compression is alternative way to do same thing. However if you need to fine tune your compression such as enable it on only some action methods or controllers you cannot use IIS compression. How can this be implement for all methods in a controller? Hi How can we achieve same compression in asp.net core 2.1 web api at action label.